Bob Morrison’s “Hey Puppet Man” 45 might not have hit the top of the charts, but it has a dark, fuzzy quality that makes it a perfect theme song for a psycho killer. If that were not enough street cred, the rest of his soundtrack was composed by none other than horror legend John Carpenter. Thanks to Carpenter’s involvement, Jacqueline Castel’s short The Puppet Man was one of the coolest films of any length that screened at the 2016 Sundance Film Festival. It is not hard to see Carpenter’s influence on Castel, but that is a good thing. Christine and her hard partying friends have stepped into the wrong bar. She is sufficiently intuitive to feel instantly uncomfortable, but they are determined to drink up until their cab comes. However, when Christine goes off looking for a restroom, she gets a good look at the Puppet Man instead. It is hard to say whether the man in the floppy hat with shaved eye-brows is supernatural in nature or just psychotic. Probably both. Regardless, Christine’s shallow drinking buddies will probably keep their cabbie waiting, which is a shame, because he is played by Carpenter. The combination of Carpenter’s retro-electronic score and Castel’s hazy, neon cinematography really evoke memories of the horror master’s early 1980s glory days. In her acting debut, fashion model Crystal Renn shows all kinds of scream queen potential. 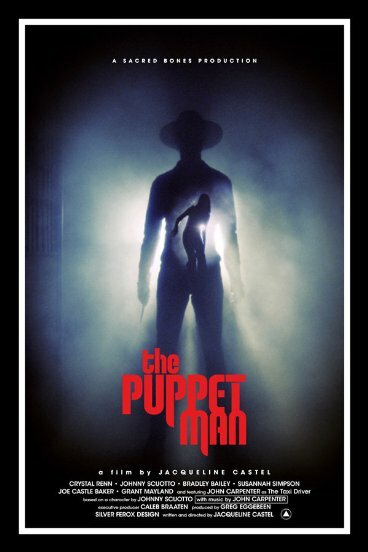 Yes, Puppet Man is only nine minutes—and what a tense nine minutes they are—but it could well become recognized as a significant film in the horror canon. While Puppet Man is the best of the Midnight Shorts program, Jason Woliner’s Dinner with Family with Brett Gelman and Brett Gelman’s Family is nearly as harrowing, but for very different reasons. The Adult Swim-produced Freudian nightmare features big name co-stars (Tony Roberts and Patty Lupone) trading barbs so harsh and scathing, they would make Neil LaBute uncomfortable. If five percent of Gelman’s self-caricature is true to life, than he must be a profoundly damaged person. Regardless, it sure is funny. In fact, it would pair rather nicely with Richard Bates, Jr.’s Trash Fire. Adult Swim also contributed The Pound Hole, directed by “The Daniels” (a.k.a. Daniel Kwan & Daniel Scheinert), two of the big winners at this year’s Sundance. Along with Swiss Army Man, we can see they have a real penchant for mixing wild goofiness with sappy sentimentalism. Set in a hipster night club called the Dog Pound, the Daniels follow the birth, life, and death of the punky DJ’s love child, bizarrely accelerated into the span of one night, by his driving beats. 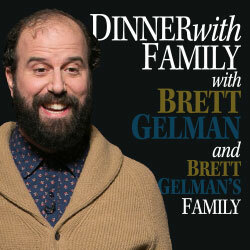 It is amusing, but feels tame compared to spectacle that is Brett Gelman’s family. Visually, Simon Cartwright’s Manoman is nearly as distinctive as Puppet Man, but ironically, it is the film that is made with puppets. When a put-upon prole attends a session of primal scream therapy, he inadvertently releases his inner id or demon, who promptly leads him on a crime spree. Even though it clocks in at a mere eleven minutes, Manoman eventually runs out of narrative steam, but it still has some wonderfully clever moments, as when the somewhat self-aware puppets attack each other’s strings. For sheer madness, it is tough to beat Nick DenBoer’s The Chickening, which remixes footage of Kubrick’s The Shining, turning the Overlook Hotel into a poultry theme park. Little Danny Torrence is now a stubble-faced teamster and the spectral twins now have beaks. If you thought Room 237 would make Kubrick turn over in his grave, Chickening should have him spinning like a top. Yet, despite all the lunacy, you have to respect the skilled craftsmanship that went into it. Calvin Lee Reeder’s even shorter The Procedure is basically a one-joke sketch, yet it somehow won the Short Film Jury Award. Frankly, it probably brought down the house when it screened, but it is rather underwhelming when viewed in the comfort of your own home. Happily, it is also much more accessible than his utterly unwatchable The Oregonian, yet one can still see stylistic consistencies. In contrast, Eddie Alcazar’s Fuckkkyouuu is an eight minute endurance challenge. Essentially, he strobes-up and purees a lesbian love scene with the primordial ooze, sort of like a nefarious grafting together of Blue Is the Warmest Color and the ape scene in 2001, but why? 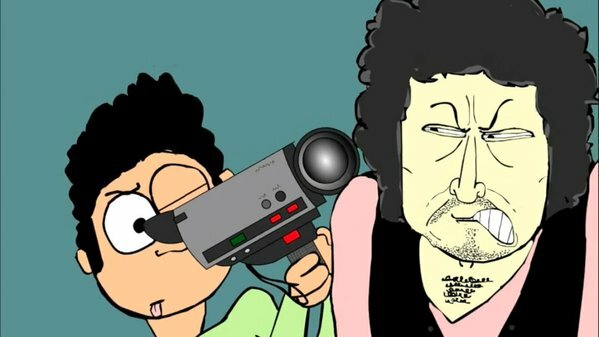 Outside of the Midnight program, Cavieh Zahedi’s Bob Dylan Hates Me (already available on Fandor) is just as neurotic as his highly personal documentaries, most notably including The Sheik and I. Conceived as a pilot, Zahedi documents two increasingly disastrous encounters with his one-time hero, culminating with the titular punchline. If Zahedi can sustain the wit and energy, this could be a terrific series, perfect for fans of Dr. Katz. They even have a similar, sketchy style of animation. It is tough to beat John Carpenter in his element, regardless of length or format. In contrast, Dylan would probably rather not have his likeness represented at Sundance—with good reason in this case, even though Zahedi is always hardest on himself. As always, there were some significant finds in the short film programs passed over by feature-snobs, especially The Puppet Man, Dinner with Family, etc., The Chickening, and Bob Dylan Hates Me, all of which are highly recommended following their screenings at this year’s Sundance Film Festival.